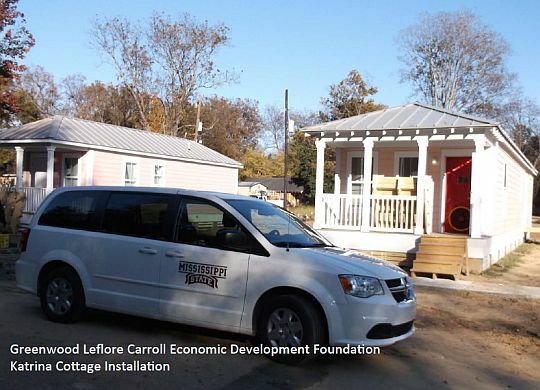 Energy-efficiency study leads to weatherization efforts in Baptist Town area of Greenwood, Miss. Helping the residents of the historic Baptist Town neighborhood been a passion for Emily Roush-Elliott since she arrived in Greenwood, Mississippi, on an Enterprise Rose Architectural Fellowship in 2013 after receiving her master’s of architecture from the University of Cincinnati. Their common interests are why Roush-Elliott — who is hosted by the Greenwood-LeFlore Economic Development Foundation and Carl Small Town Center — and The Fuller Center have been frequent collaborators in the past few years. And they continue to lead efforts to improve the Baptist Town neighborhood made famous as the home of blues legend Robert Johnson and the site of filming for the film “The Help,” which brought home the Best Picture Oscar in 2012.